Is life outside the palace walls everything she dreamed of? 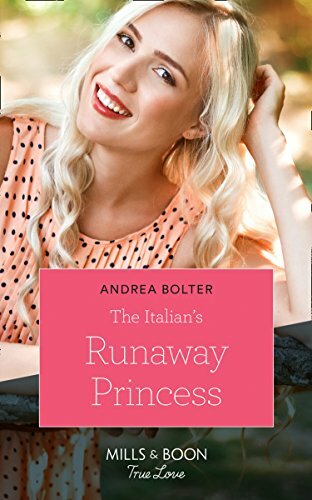 When billionaire Gio Grassi rescues a beautiful stranger on the streets of Florence he never imagined she'd be royalty! Princess Luciana’s vivacity intrigues him. With her arranged royal wedding only weeks away, can this chance encounter change their lives forever? While I was reading this book, it got me thinking, do real life Princesses wish they could be a ordinary member of the public, especially on holiday and just be a tourist and just do touristy things. Well think no more,because Luci or Princess Luciana to give her full title, has done now she has been planning this for a while and her destination of choice is Florence for three weeks, while this may at a push be fine, there is one small detail that she is trying to forget, because in three weeks time she is to be married to King Augustin from the neighbouring Island and he is thirty years her senior. So now you can understand why Luci wants to escape. Normally I love Italian men...but this time Gio just didn't do it for me, yes he may be tall, dark and handsome, they was just something about him that I didn't connect. To be honest I loved Luci more she was so strong and determined to do what she wanted to do. Overall Ms Bolter has written a good book and for me it definitely got me thinking about real life Royalty, this book will be perfect to read to on holiday or relaxing in the garden. I will give this book 4/5 stars. The book is on pre-ordered at Amazon UK and is released on 23rd August.